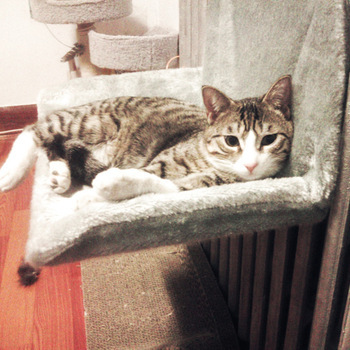 The advantages of a cat hammock for the car. * You’re the most required cat car seat, when you driving, you do not have to fret about your cat Drill into the legs disrupt you, Guarantee security driving. * Cat stand and being in the car hammock will not filthy or scratch your car. 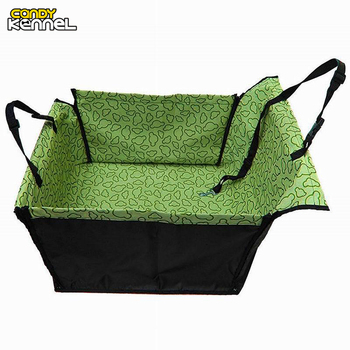 –Attach to crate or cage corners with metal hooks, strong clips makes it easy to fasten the hammock to the cage safely and securely. 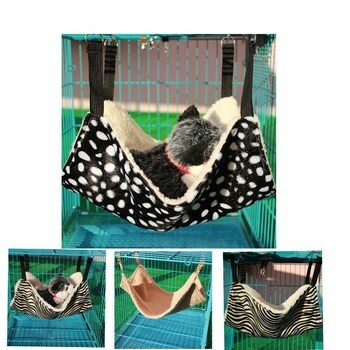 -The cage hammock has a cozy faux lamb’s wool interior to give your cat a comfortable spot to rest. 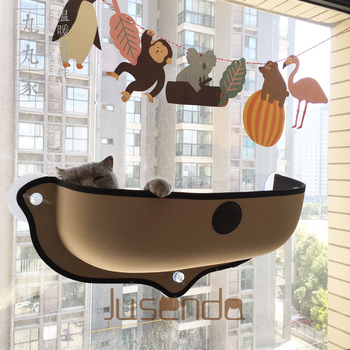 -The cat hammock offers two sides for any season, let your cat leisurely lying on top at any time, quietly spent a good time. 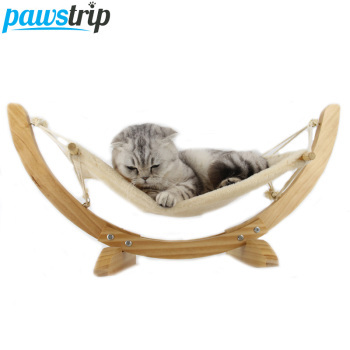 -easy to clean-Hand wash or in a washing machine, which gives your cat a neat and comfortable bed all time.This Hammock bed can be installed in cages or under table or chair, it is an ideal product for you to save space.